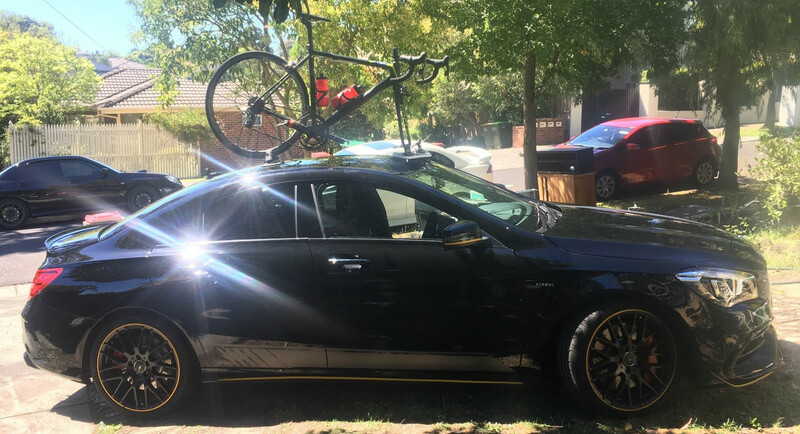 John is a keen cyclist who was in the market for a Mercedes CLA45 AMG Bike Rack. John recently took delivery of his Mercedes CLA45 AMG with a factory Panoramic Roof. As a result, his options were limited. John persevered with his research and discovered SeaSucker Bike Racks. John called us and arranged for an onsite demonstration. 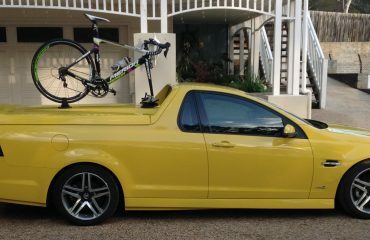 After discussing his needs, we recommended the SeaSucker Mini Bomber 2-Bike Rack. 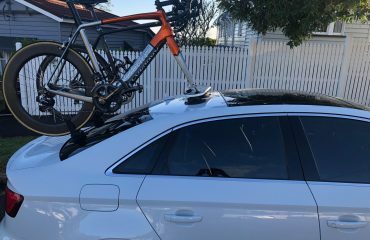 As John transports either two road bikes or one Mountain Bike we suggested installing a 3rd fork mount. The SeaSucker Mini Bomber can accommodate an extra fork mount or Add-On Front Wheel Holder. Upon closer inspection, we discovered the SeaSucker Mini Bomber could be mounted on the roof between the windscreen and the panoramic roof. 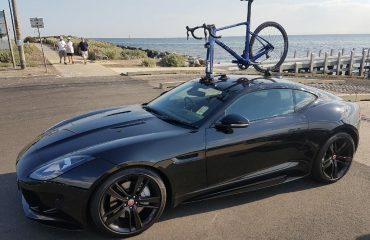 This allows John to use his Panoramic Roof with the bikes mounted. The rear wheel straps were located on the fixed Panoramic Roof. Thanks John for your feedback and sending us your photos. 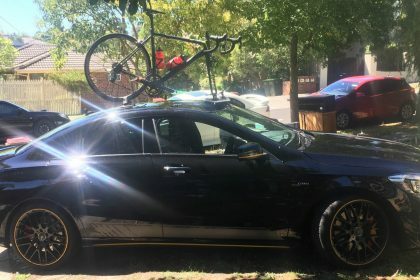 Looking for a bike rack for your Mercedes CLA45 AMG? Another cool bike rack. Ye again, wrong car listed. This is a CLA45 AMG… The CLA is the sedan where the A is the hatchback. Thanks for pointing out my error, I have updated the blog post.